Scalextric is a very popular brand in the slot car world, it has been around since the late 50’s. A lot has changed over time and today we have slot car sets with digital features such as accurate timing, lane changing, ghost cars and performing pit stops. A digital slot car set now allows you to race multiple slot cars on a standard 2 lane track. The options for your Scalextric track layouts have changed significantly now. You can focus more on the actual track layout instead of just getting a basic track built with enough lanes for all your friends. There are many sources for inspiration when it comes to designing your slot car layout. Real world tracks and circuits, tracks that friends have built, and of course layouts you have seen online. Here are just a few online resources to help you design your Scalextric track layout. If you are using Ultimate Racer as your layout software you can check out their own layouts archive page. You can browse layouts by track brand/type. They have layouts for Scalextric Sport and Digital as well as many other brands that you could simply use for inspiration. 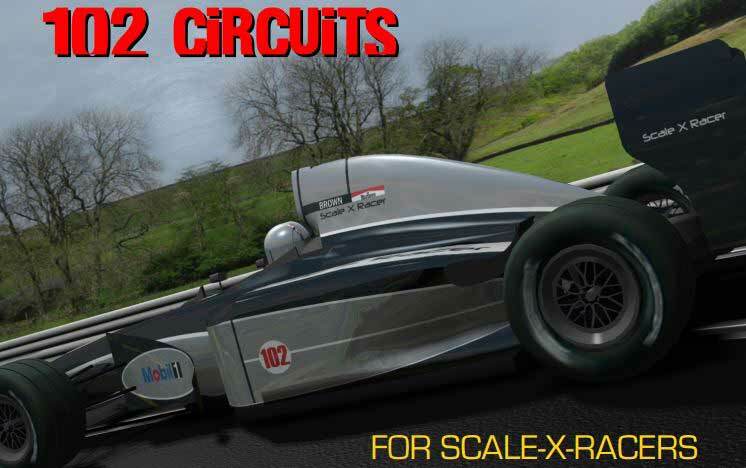 Scale-X-Racer has a series of custom made track libraries for Ultimate Racer, anything from a single lane rally track up to an eight lane commercial slot track. Over at Slotict’s website you can view and download well over fifty different track layouts for Tracker 2000. All of his layouts were designed for Scalextric Classic (Scalextric Sport is compatible). If your looking to replicate a world circuit be sure to check his site out, there are over 40 different slot track layouts including Daytona International Raceway, Indianapolis, Laguna Seca, Monza, Sebring and Suzuka. Slot Car Illustrated forum is also a good source for not just Scalextric track layouts but all things slot car. Join up for free and search away, or here is a 16 page post with a lot of Scalextric track layouts and information. I will close with just a few additional basic research tools that may help you figure out your ideal slot car track layout. I always like to do a Google image search for Scalextric track layouts, you will find a lot of top down track plans as well as some actual photos of completed layouts which is great to see. In addition to Google’s image search, get on Pinterest and search for Scalextric layouts. You will find a lot of useful photos and information there as well.